A brief word from Police Chaplain Bob Keller, concerning the importance of sharing the Gospel and the Captain of our salvation, Jesus Christ, with the men and women law enforcement. Once a person is out of full time ministry, as I was for many years, the chance of returning to full time Christian service becomes a challenge. But through Gods’ grace and mercy the Lord opened a door of opportunity where I could use my gift of serving others within the area of police chaplaincy – bringing the Gospel of Jesus Christ to the valiant men and women protecting our communities and neighborhoods. The Lord began to speak to me about going back into full-time Christian service several years ago, but where? I served on the foreign mission field, and as a pastor and assistant pastor in several different Fundament Baptist churches in the United States. I even served with Dr. John Vaughn, Pastor of Faith Baptist Church Taylors, South Carolina, as his assistant back in the early 80’s. Our children were grown and living their own lives; our nest was empty but I knew that the Lord wanted us back serving Him full time, but where, I did not know. Here I am, 52 years old, where could I possibly serve? Who would take me seriously? I thought about going back into the pastorate or perhaps going back to the foreign mission field, but the Lord never gave me peace about pursuing any of those ministries. Then one morning while I was having my devotions the thought came to my mind, the chaplaincy ministry. Believing the Lord was leading into some kind of chaplaincy ministry, I began to search for the Lord’s leading. I thought about working as a chaplain in prison system or perhaps the hospital. I knew I couldn’t serve in the military; I was too old for that, so that was out. I had already served my 4 years in the Air Force long ago. Where could I be used at my age? No one is going to look at me; I have been out of the ministry too long. 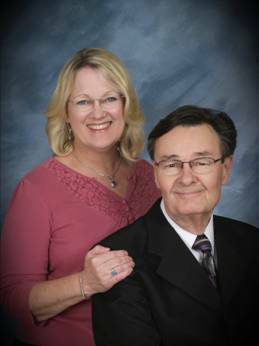 My wife, Jane, and I are members of Lighthouse Baptist Church in La Verne, CA., where Brian Dunlop is our pastor. I learned that we had approximately 8 police officers in our church. I asked one member who was retired from the Pomona Police Department about the chaplain program and he recommended we visit the department familiar with the chaplaincy program and share with them our burden for the chaplaincy ministry. We drove to the Pomona Police Department and spoke with the Watch Commander about the possibility of a ministry working as a chaplain. The Watch Commander made a statement during the conversation that I will never forget. He stated, “We have chaplains who serve in the military, prisons and hospitals, “…but what about us? Why don’t we have chaplains that serve in the police department?” My wife and I drove home that afternoon and we made the decision. “Lord, we believe you may be directing us to work with Law Enforcement.” Up to that time, I never really considered it. Believing by faith that the Lord was leading us into this work, I made arrangements to ride with a police officer. Up until my first ride along, I had never ridden with a police officer, not even in the back seat. Once arrangements were made I was given the opportunity to ride with Officer Mark. I rode with Mark for about six hours, discussing many things concerning police work, but we also spoke about spiritual matters. Mark shared with me his burden, that for some time he was searching for someone to share with him the truth about Jesus Christ. By the time the ride along was over Officer Mark had trusted the Lord Jesus Christ as his personal Savior. On my first ride along, the Lord gave me the opportunity to lead Officer Mark to Jesus Christ. What are the chances of that ever happening? It was a divine appointment with a police officer. We have all had appointments with officers, but they are never divine. After speaking with the Watch Commander and the circumstances with Officer Mark, we knew that the Lord was leading us into the chaplaincy ministry. It has now been 3 years since that decision was made and the Lord has opened many doors for us to minister as a chaplain for the Pomona Police Department and with other departments as well. Our ministry is called “In Pursuit Ministries” because we are “In Pursuit” to reach those who are “In Pursuit!” for the Gospel of Jesus Christ. We need pastors who are willing to work as volunteer chaplains. We are praying that the Lord would raise up many pastors of our Fundamental Baptist Churches or lay people within the churches to work as part-time chaplains with their local law enforcement agencies. Our lives should not be caught up in making money and building houses. Our lives should be caught up in serving Jesus Christ and telling people about our wonderful Savior and leading them to Jesus Christ. Those who work as God’s ministers of justice, (Romans 13:4), need to hear about Jesus Christ. Believe me, the mission field of Law Enforcement has been forgotten. Perhaps the Lord is calling you. In conclusion, we need to remember that we are never too old to serve the Lord in any capacity to which He calls us. We need to be actively looking for where the Lord can use us and make ourselves available to the opportunities that He opens for us. The thought has occurred to me many times, “what if I had not answered God’s call on my life“? I am so thankful to be serving the Lord in the capacity as chaplain. For further information about the chaplaincy work or becoming a volunteer chaplain in your area, please go to www.inpursuitca.com . You may also contact Bob Keller at : rejakeller@gmail.com or call 714-865-9177.